BRUSSELS --- The Commission has today adopted work programmes to co-finance joint defence industrial projects in 2019-2020 worth up to €500 million. A further €25 million have been earmarked to support collaborative defence research projects in 2019, with calls for proposals launched today. Through two precursors to the Fund, the Commission is taking steps to make defence cooperation under the EU budget a reality as of now. The Preparatory Action on Defence Research (PADR) continues to deliver for the third year running. And with today's decisions, the Commission kick-starts the first EU-funded joint defence industrial projects through the European Defence Industrial Development Programme (EDIDP). This will focus on areas including drone technology, satellite communication, early warning systems, artificial intelligence, cyberdefence or maritime surveillance. The first European Defence Industrial Development Programme (EDIDP) work programme agreed with the Member States provides €500 million in co-financing for the joint development of defence capabilities during 2019-2020. In the coming days the Commission will publish 9 calls for proposals for 2019, and 12 further calls will follow for 2020. -- Innovative defence technologies & SMEs: €27 million will support solutions in Artificial Intelligence, Virtual Reality and Cyber technologies, as well as to support SMEs. 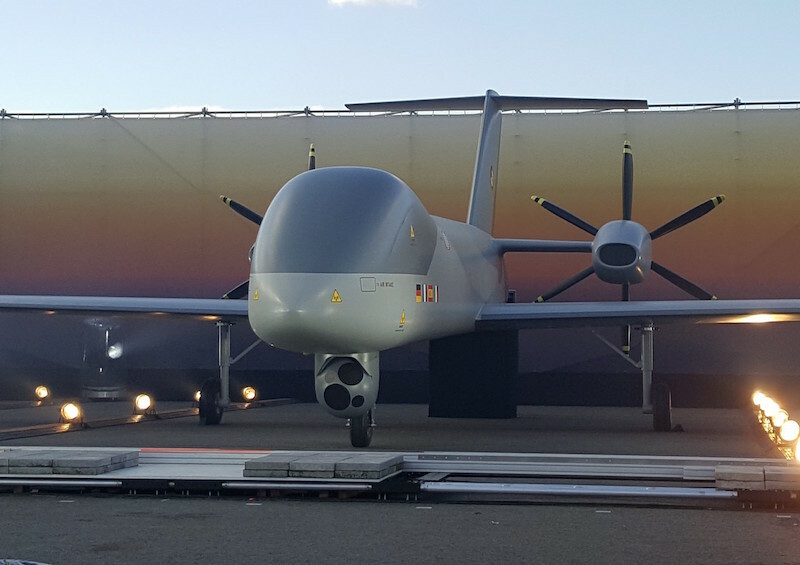 -- In addition, two projects have been proposed for direct award: €100 million to support the development of the Eurodrone, a crucial capability for Europe's strategic autonomy, and €37 million to support ESSOR interoperable and secure military communications. In June 2018, the Commission proposed a fully-fledged €13 billion European Defence Fund. The Fund will place the EU among the top 4 defence research and technology investors in Europe, and act as a catalyst for an innovative and competitive industrial and scientific base. The EU institutions in February 2019 reached a partial political agreement on the European Defence Fund, subject to formal approval by the European Parliament and Council. The budgetary aspects of the future European Defence Fund are subject to the overall agreement on the EU's next long-term budget, proposed by the Commission in May 2018. Click here for a fact sheet (4 PDF pages) on the European defence work programmes 2019-2020.